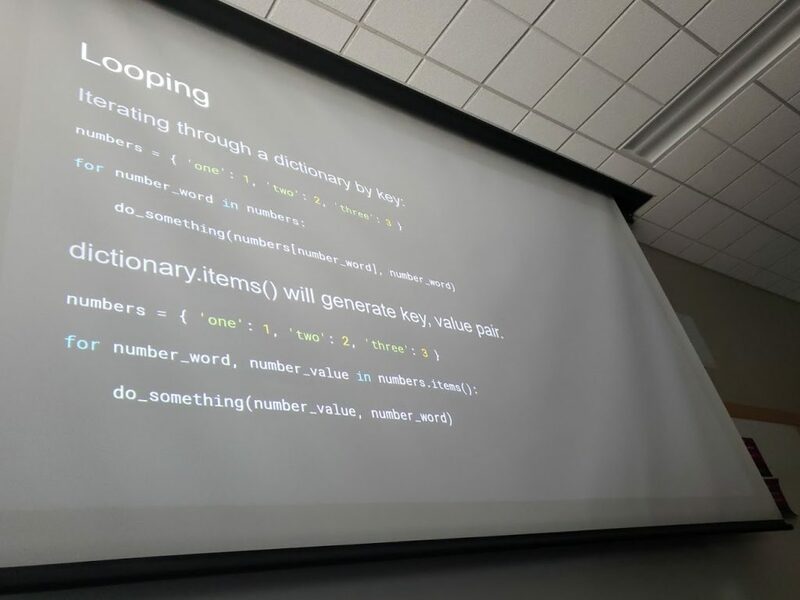 After the Lunch Break, I went to the Pythonic Coding session. 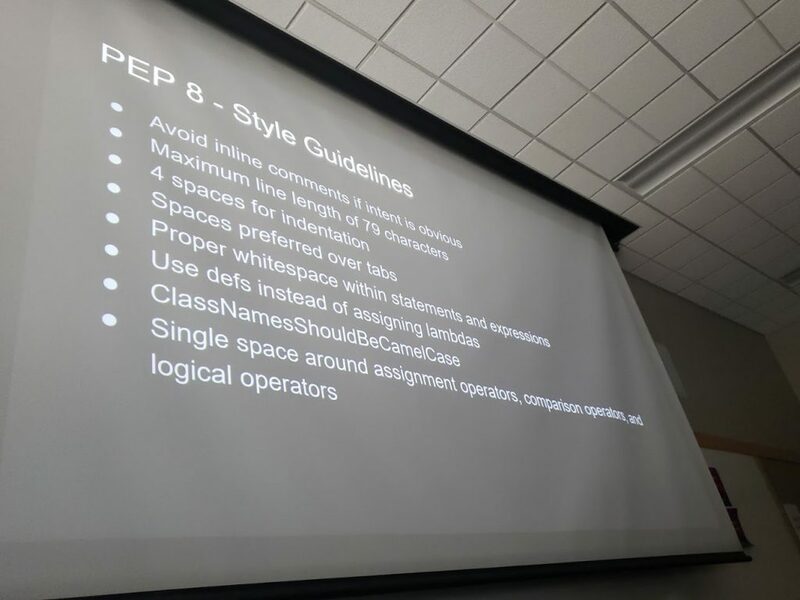 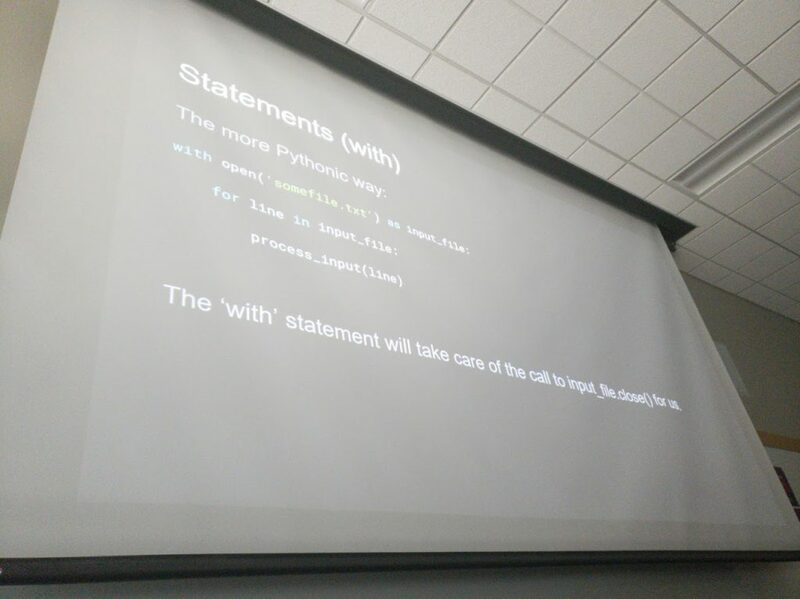 Here, most of the presentation focused on how to write code in a pythonic way. 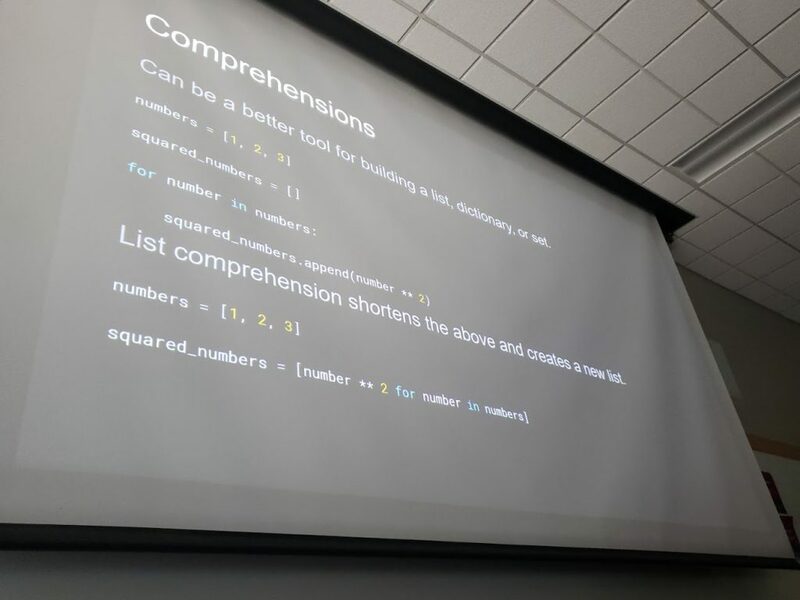 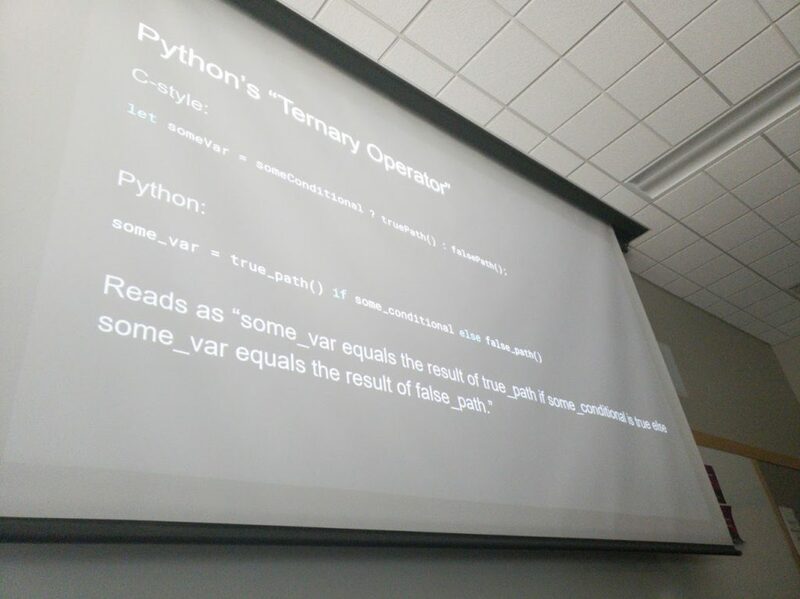 The speaker used samples of how a C-Style syntax could be written better in Python.